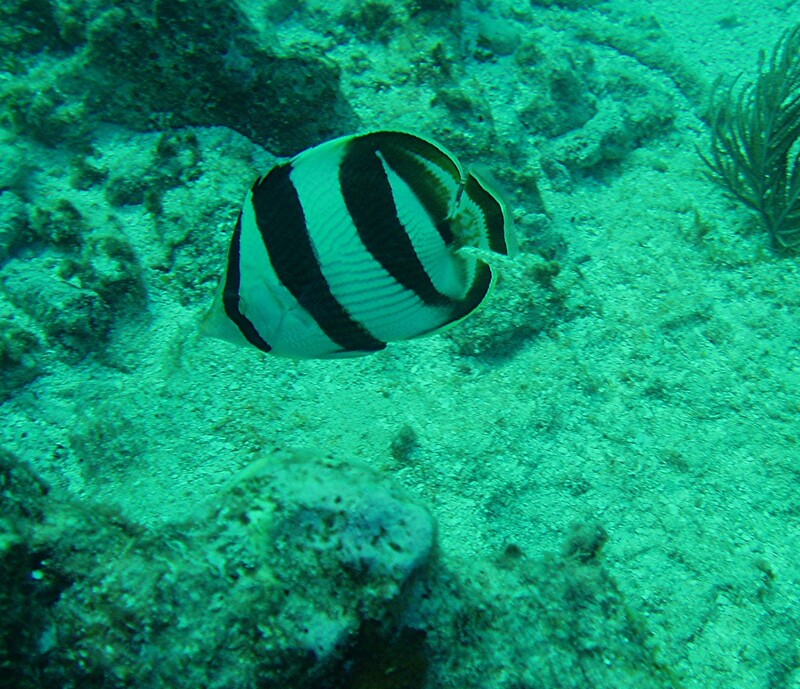 This is a Banded Butterflyfish about 6 inches. Photo by Rod 12 Nov 04. Two wide, black midbody bands. 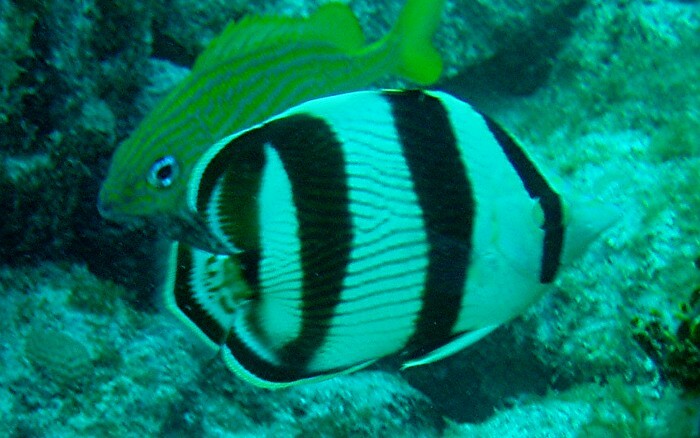 Adults usually found in pairs, above and around wrecks and reefs. 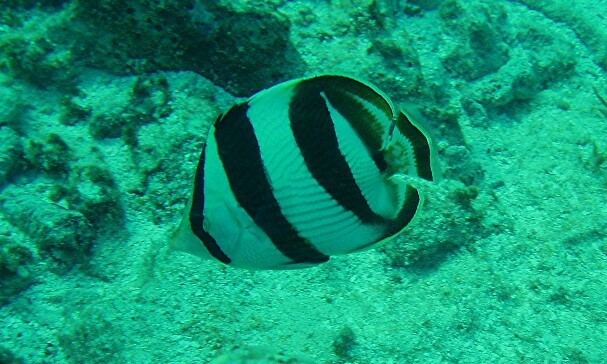 (barbut6c.jpg) This is a Banded Butterflyfish about 5 inches. Photo by Rod 11 Feb 06. Location City of Washington Wreck, Key Largo in about 25 feet water.